We understand what you want and need from a local gas station in Hickory, NC and endeavor to make that a reality for you. 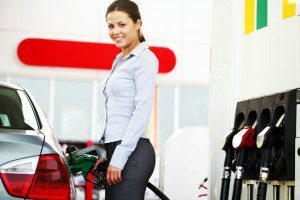 When you go to a local gas station, there are three things you want to see – low prices, pumps that are clean and work properly, and supplies for cleaning your windshield. An extra bonus is having a convenience store, as well, for getting a drink or snack for the road. At Cubbard Express, we understand what you want and need from a local gas station and endeavor to make that a reality for you. First and foremost, we strive to keep our gas prices low and competitive. Our many locations throughout Hickory, NC and the surrounding area are locally owned and operated. We have a vested interest in our community and its citizens, so we want to make sure you can still afford the rest of your expenses after filling the tank. We take the time to make sure our pumps are always operating correctly, that they are clean and have been supplied with receipt paper. If for any reason you are having trouble with a pump, let us know, and we’ll take care of it promptly. Most people take the opportunity when filling the tank to wash the vehicle’s windshield and other windows as needed. That can’t happen if the appropriate equipment and supplies are lacking. We keep everything stocked and replace window squeegees on a regular basis, so you can be confident you will not damage your vehicle when you use them. Again, if you have any issues, we hope you’ll let us know so we can get it corrected right away. A local gas station is more than a place to get gas. It should be a place you feel safe, too. We have great lighting, low prices, and supplies, so your refueling experience will always be a pleasant one.